“Flowers and Swords” biscornu is both fun and quick to stitch. 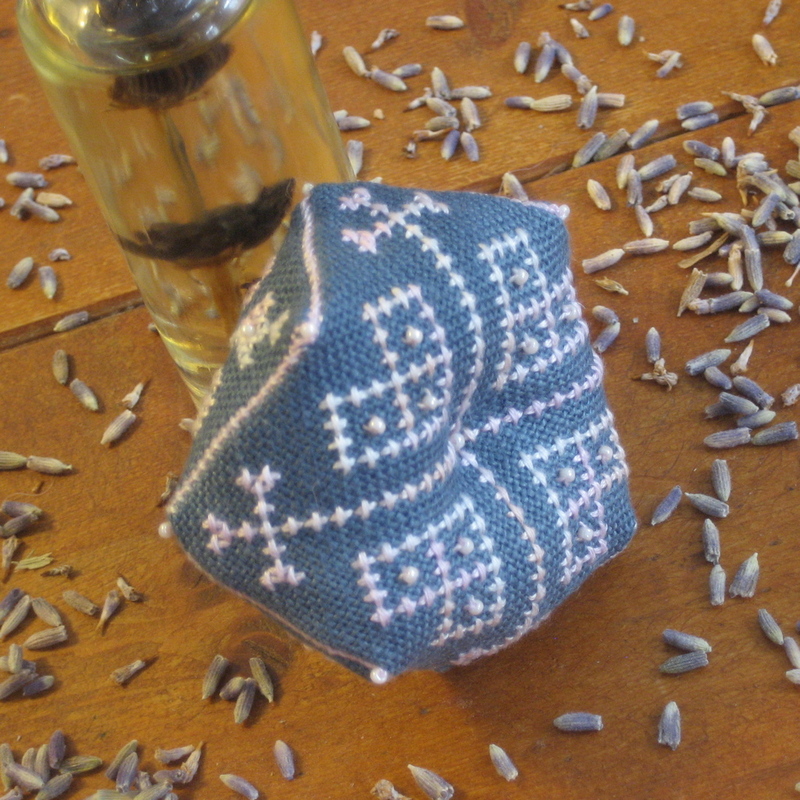 I filled the model biscornu in the pictures with a mix of quilt batting and lavender flowers (including some lavender oil). The file includes: chart, details of fabric and floss used to stitch model and suggested place for optional use of beads.